C - By default the Hide Total line for Individuals Orders will be Checked. If you want to the see the total for each order you will want to Uncheck this box. 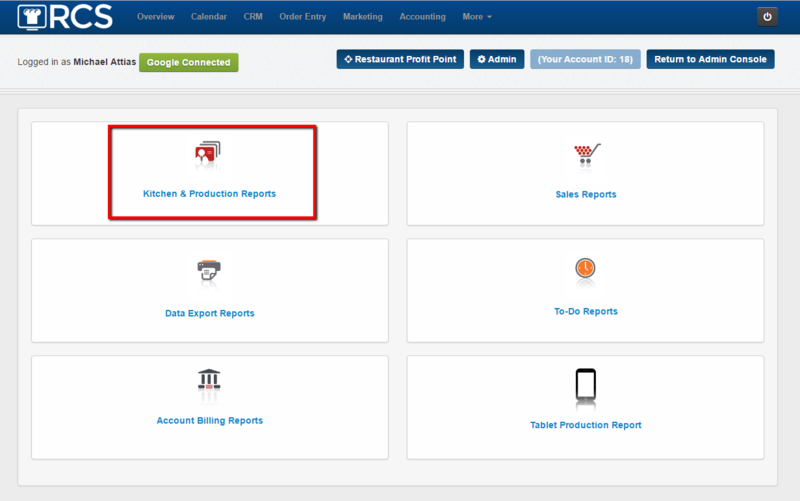 I - If you have more than one location you can see the report for a specific location or all locations. 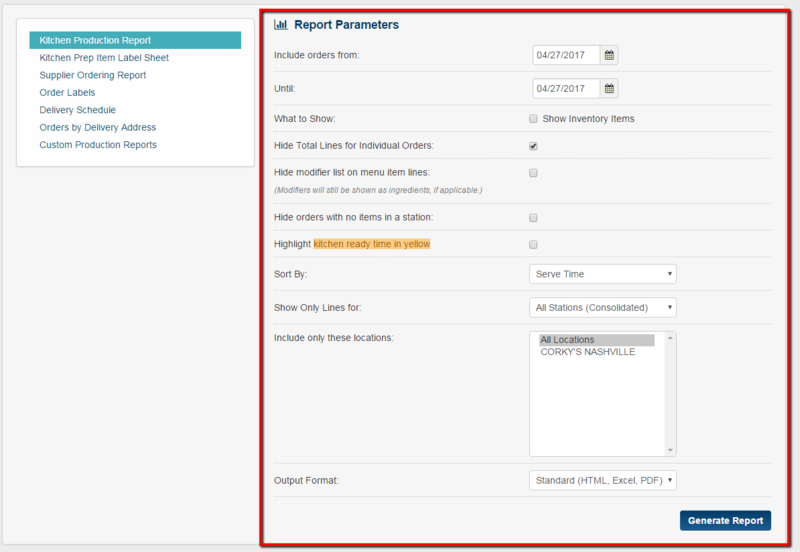 9 - You will notice each order will appear with the specific information for that order throughout the report. 10 - The menu items will appear next. The number of menu items will appear in bold. 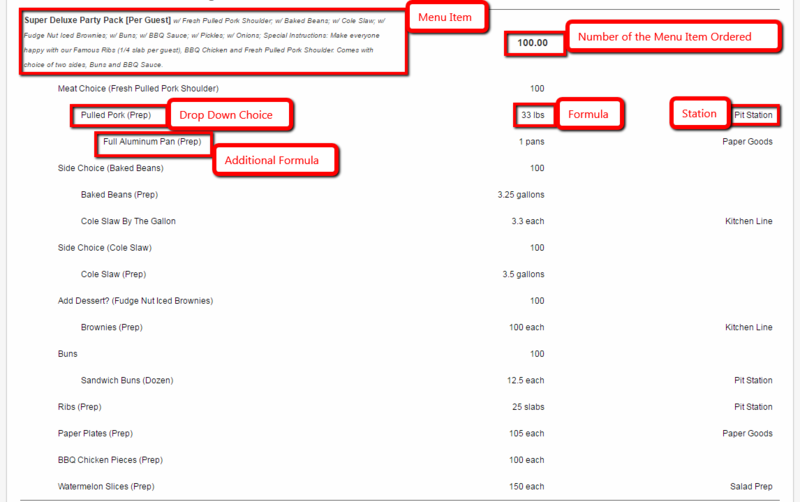 The drop choices the customer chose will appear with the formulas in the middle and the station the menu item needs to be prepped in to the right. Any additional formulas that were created will appear as well. 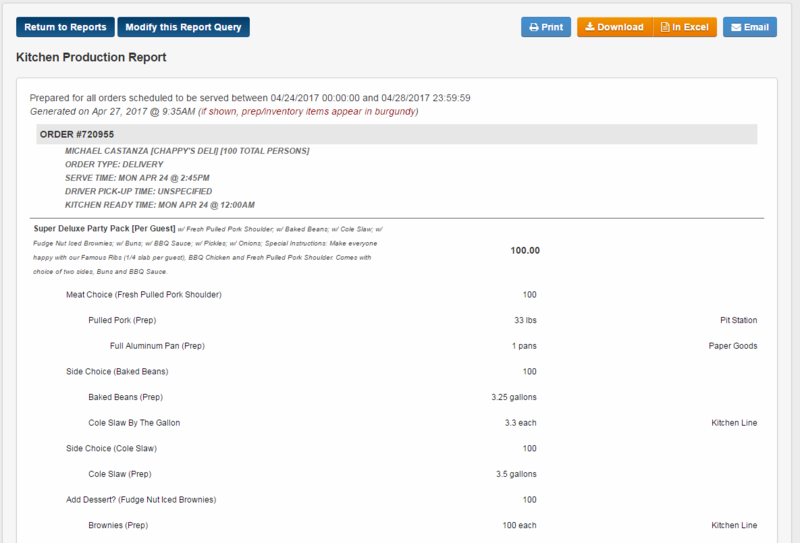 You have now learned how to view a Kitchen Production Report.